Prepare quarterly reports, court reports and Best Interests Planning reports as required. Experience working in child protection or community services sector. Qualification required in Community Services / Social Work / Psych or similar . 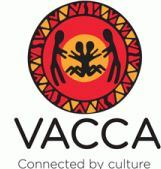 As a state wide community based Aboriginal organisation VACCA has extensive experience in the management and delivery of a range of community services programs to the Aboriginal community with a particular focus on services to vulnerable children families and community members.ACCA programs include: Family Services which includes Integrated Family Services, Playgroup, Aboriginal Family Decision Making, Aboriginal Family Preservation and Restoration, Child FIRST, Family Violence and Playgroup, Out of Home Care which includes Foster Care, Kinship Care, Residential Care, Permanent Care, Adolescent Community Placement, Leaving Care, Cradle to Kinder and Koori Cultural Support Programs as well as Youth Homelessness services. VACCA provides community cultural strengthening programs as well as Koorie Connect, a case referral service, services to Stolen Generation members through Link Up.